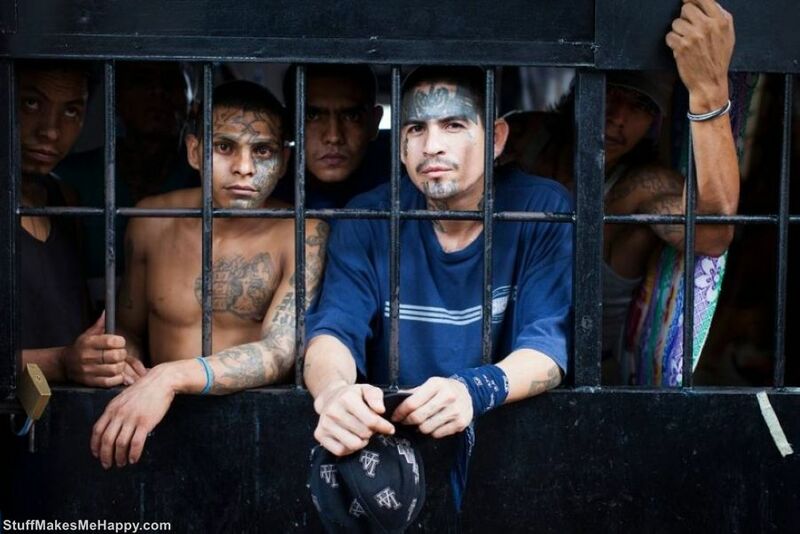 Ciudad Barrios prison Penas, located in San Salvador, is considered one of the most dangerous prisons in the world. 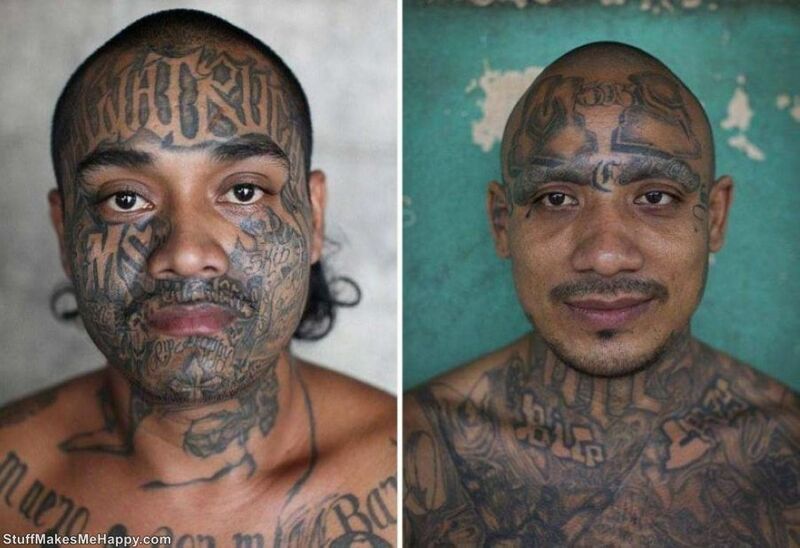 The facility, which is designed for 800 people, contains 2500 criminals. 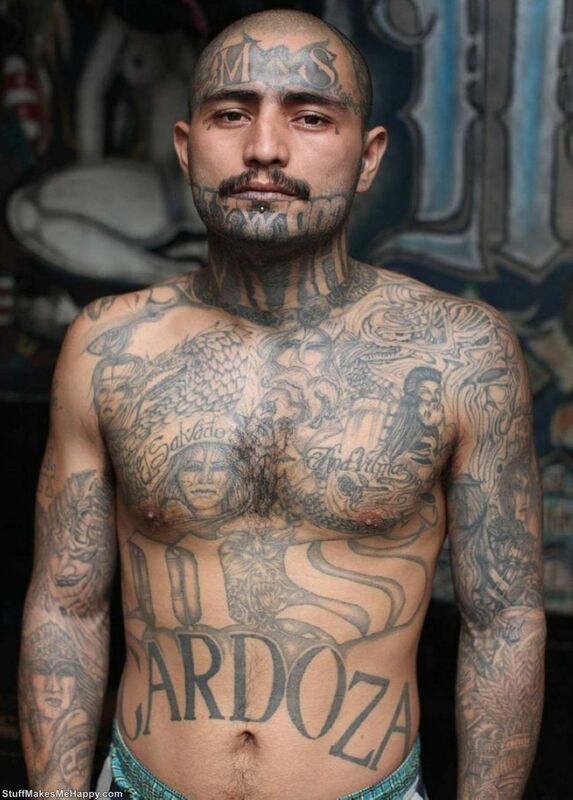 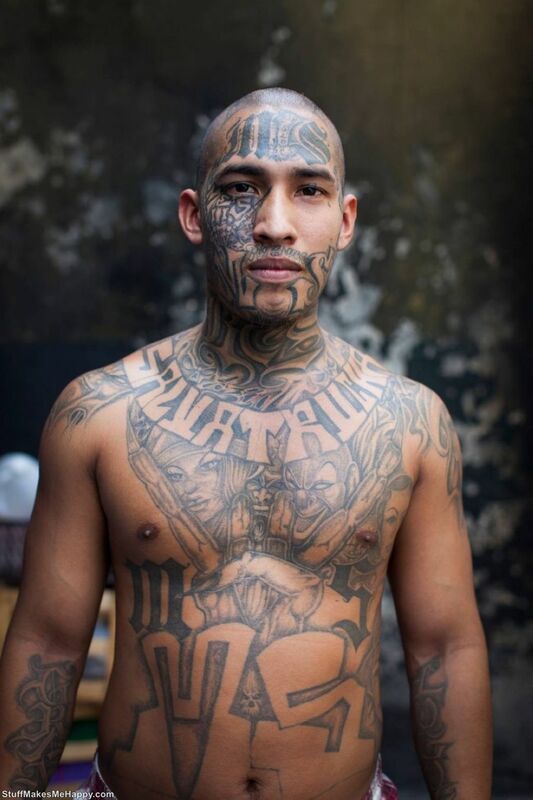 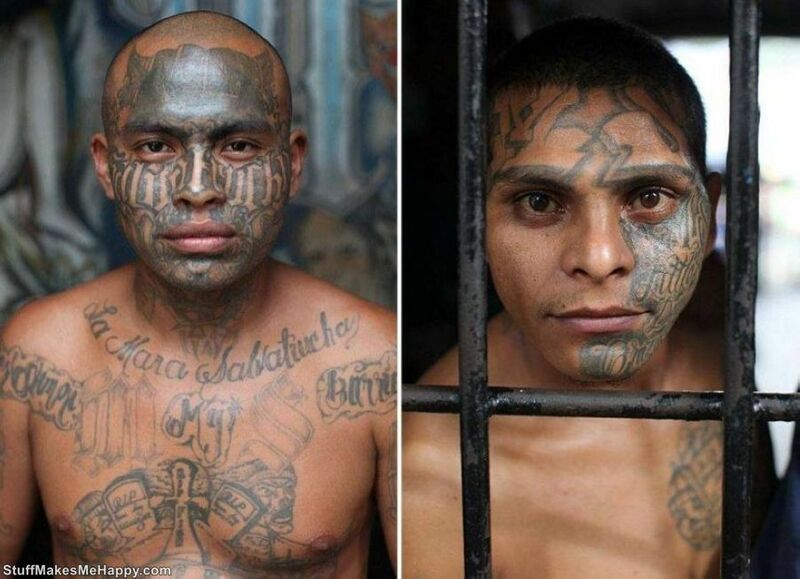 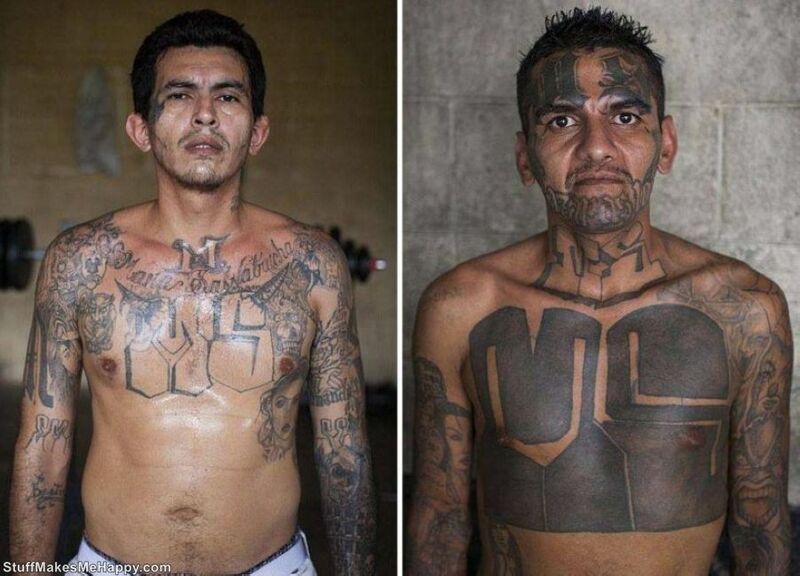 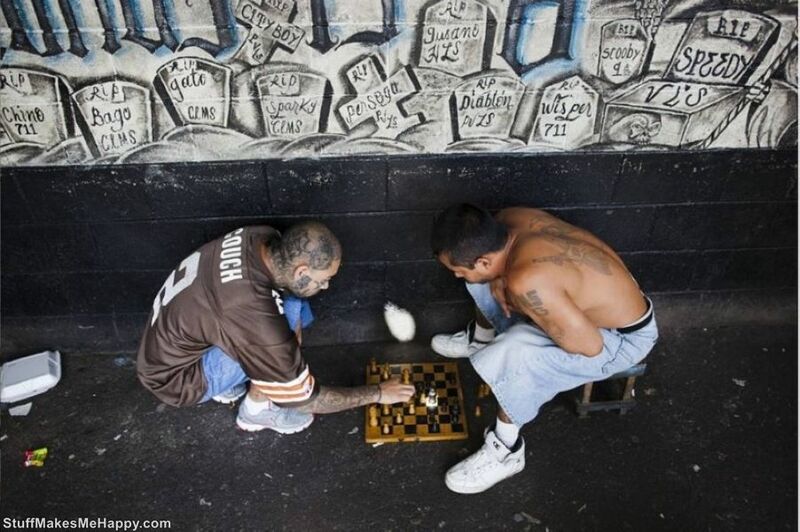 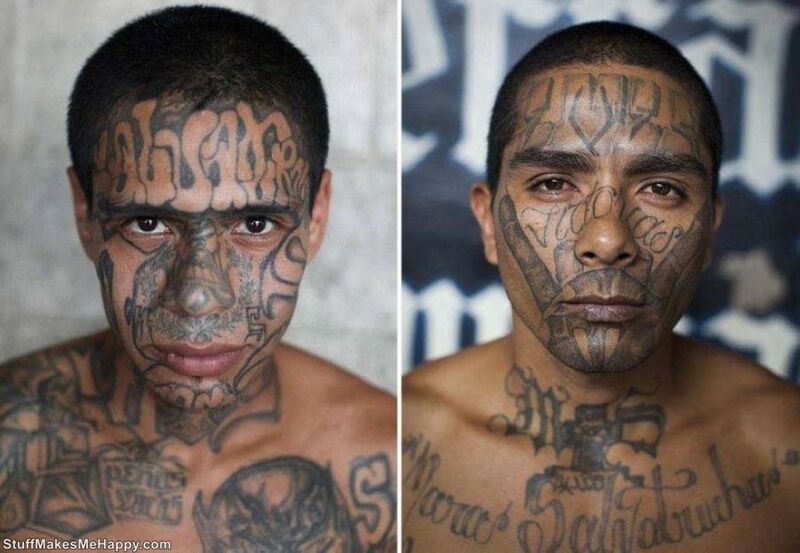 Every prisoner is a member of the gang Mara Salvatrucha (MS-13), which in slang means "Salvadoran gang stray ants" - a well-organized international criminal groups; one of the most violent, and many fast-growing street gangs of Central and North America. 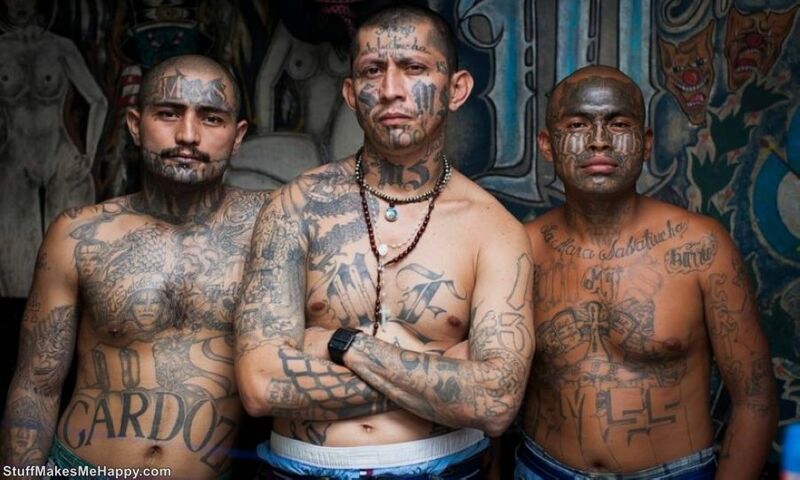 According to various sources, the number of criminal syndicate ranges from 50 to 300 thousand. 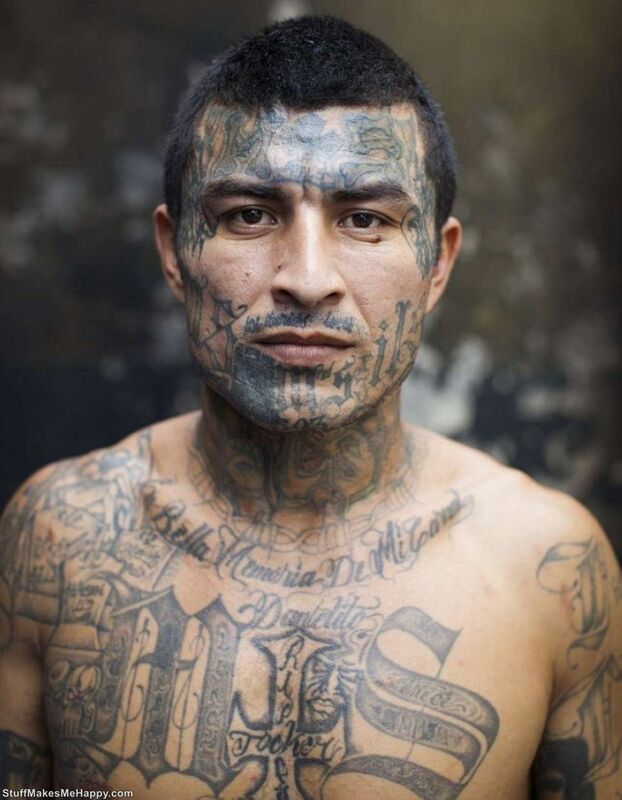 People, including associate members (including the United States from 10 to 40 thousand.). 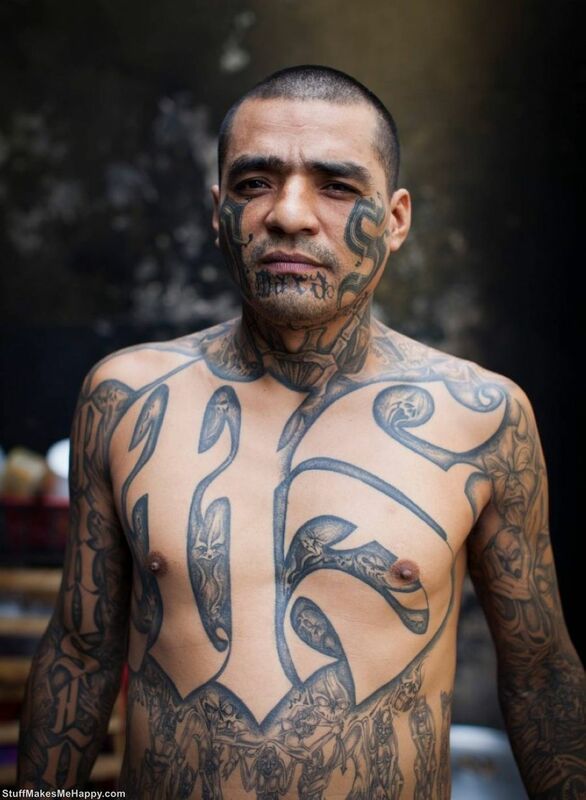 British photographer Adam Hinton was able to visit the territory of the Penas Ciudad Barrios, where he captured the Portraits of Prisoners.